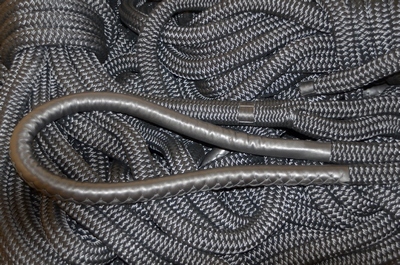 Can we splice and satisfy Lloyds Register (LR)? 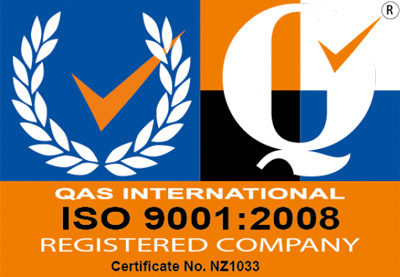 Hell yes, we are the first and still the only ones in NZ, and further afield, that can do that. 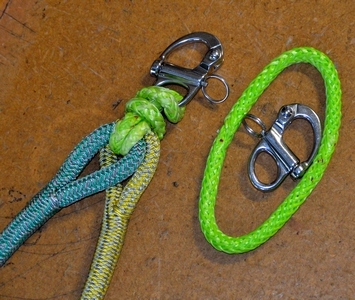 The systems are in place, we have the approved ropes and can get other approved, everything willing. This was brought on by the super boat work we do. 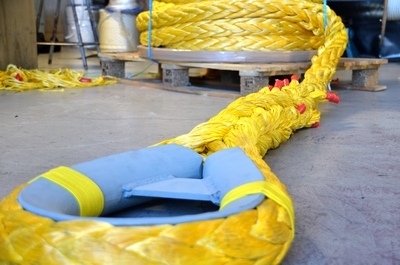 Now we have adopted the LR system for all our splicing so now you can be assured our splices continue to be done consistently and to the high loads we have achieved by tuning our techniques. Below is just a tiny fraction of what we have and can do. 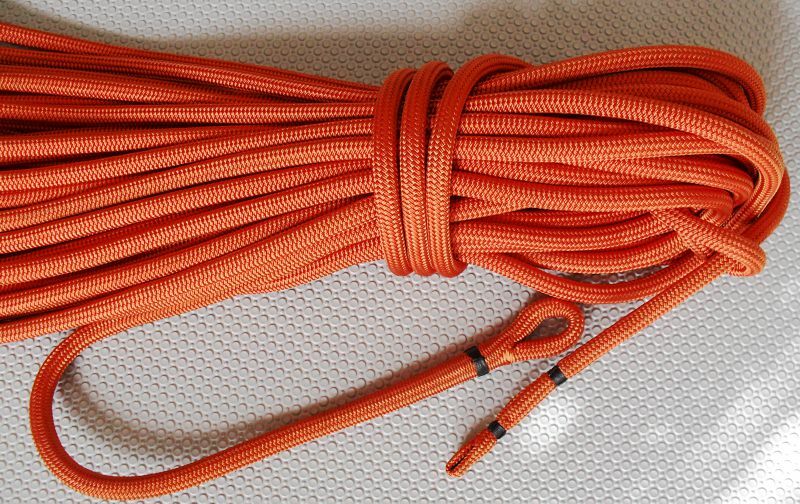 What about splicing ropes to chains for anchor winches? 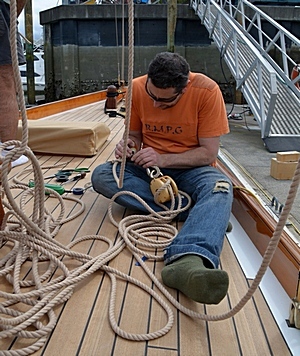 We sure can and no one in NZ would have done more than us nor using the range of ropes we have. 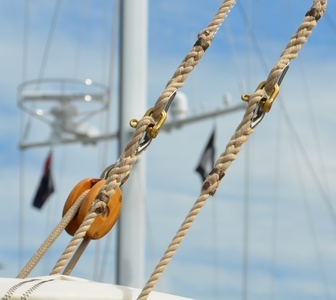 Halyards? 3 strands and 8 braids? Easy peasy. We can do those in our sleep with one of your hands tied behind your back. 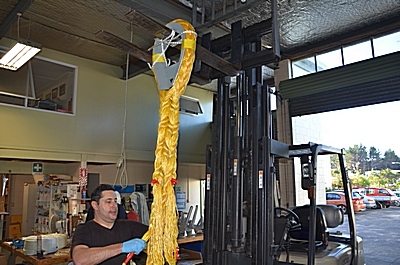 What about all these new fancy wizz bang technical fibres? Oh yes we thrive on those and even the old school Manila as in the left photo. We quite like the 2 above. 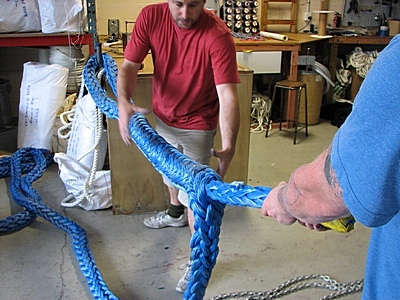 A tow line for a superboat, a gentle 400T break load, being made and the finished item. 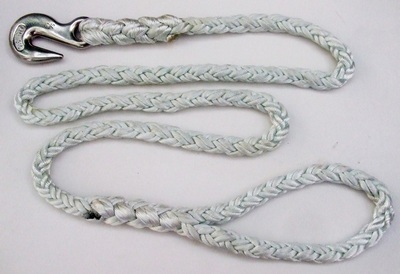 Next to the soft eye is a 6mm version of the same rope (the small blue line above it) and a pair of sunglasses. Big toys for big boys. The above was fun... to watch. 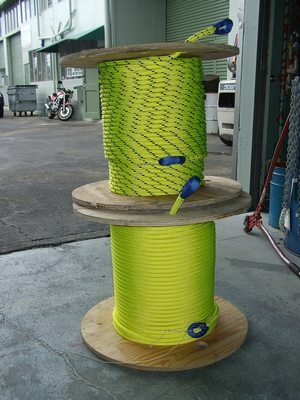 A 72mm pure dyneema being tuned into a oil rig towing pennent. The thimble alone weighed 48kg. 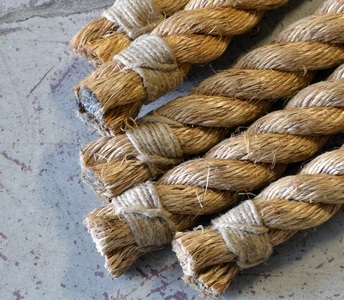 There isn't much we can't do to a rope. Mr Spot doing it old school. 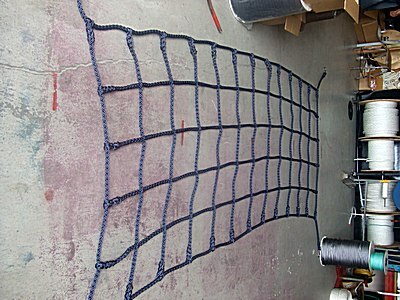 A climbing net, a fancy one this one. 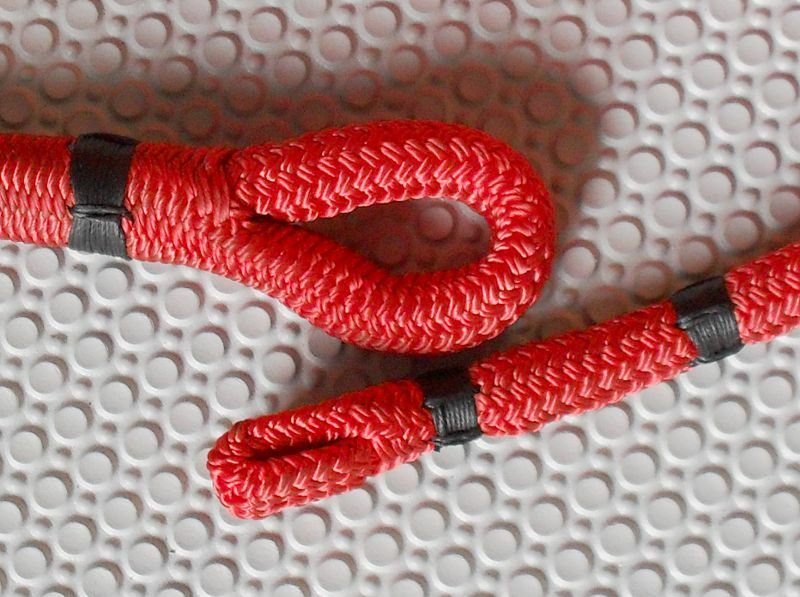 A couple of cable pulling lines complete with reinforced spliced soft eyes. Just a couple of the common soft eyes and pulling tails. Do like the orange like colour on the left. Contact us for any needs you have, be they a one off or a production run.